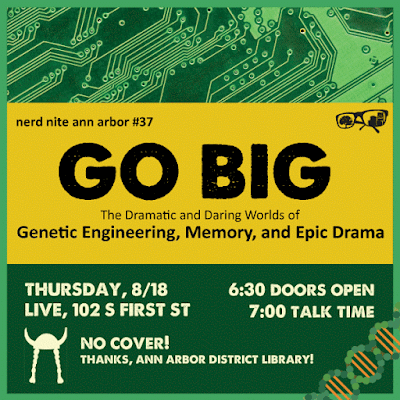 Nerd Nite 37 is tonight at Live. There will be lectures on everything from Wagner to genetic engineering and data storage. Doors open at 6:30 and the presentations start at 7:00. Cover is free thanks to the Ann Arbor District Library.